Most people take for granted the ability to choose their vocation after completing high school. 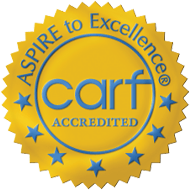 It was a significant achievement for Kira to choose to work at a job she loved. Kira came to Goodwill in Klamath County as a Transitions Student after graduation. Transitions programs are aimed at providing vocational training and support for young adults with various disabilities. “Kira is a unique situation. After high school she didn’t do much so upon coming to Goodwill she had to step out of her comfort zone to interact with and rely on other people,” said Sam Tevis, Goodwill Job Developer. After her skills assessment, Kira began training in retail production work—sorting and tagging donated clothing—in Goodwill’s Klamath Falls store. She asked her Goodwill Job Coach for more challenges. This more confident and assertive Kira amazed and impressed her supervisors. Kira moved on to run large recycling equipment in the warehouse to bale cotton textiles for shipping. After completing the training phase, Sam shifted focus to finding Kira a full-time job that was right for her. Kira asked to work as a regular employee for Goodwill. She was hired soon after. “I was excited to get hired on somewhere that could help me out. 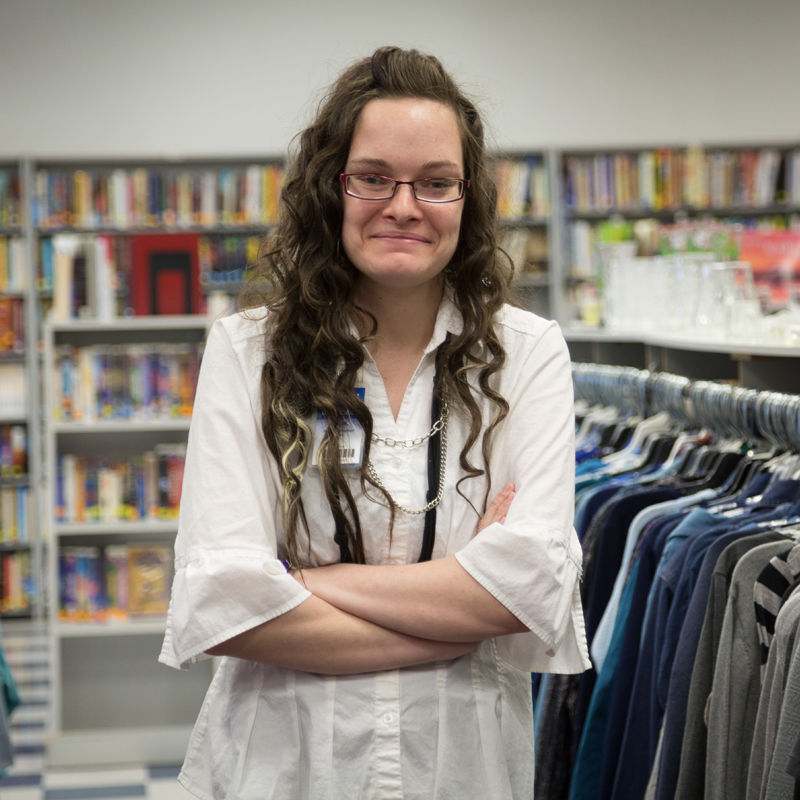 When you work at Goodwill everyone helps—all you have to do is just ask,” Kira said.